The Koldfront 18,500 BTU Heat/Cool Window Air Conditioner(WAC18001W) can service a space up to 1,000 square feet with cool air during the warm summer months and heat during the winter. 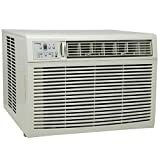 The air conditioner has 18,500 BTUs of cooling power and 16,000 BTUs of electric heating power. Using the electronic thermostat and digital display, you can set your desired temperature as well as control other convenient features like the energy saver mode, fan speed and 24 hour timer. The WAC18001W is able to provide both supplemental cooling and heating for a space up to 1,000 square feet. Full two-year warranty so you can rest comfortably. Operate the temperature setting and fan speed from anywhere in the room with the convenient remote control. To save energy, sleep mode will adjust the temperature periodically before returning to the set temperature after 6 hours. 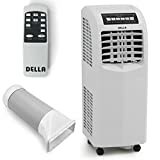 This function cycles the fan on for two minutes at 10 minute intervals and will turn the compressor back on if the the room temperature exceeds the set temperature. Fits windows between 31 & 42" wide; Minimum window height: 19.5"; Dimensions: 17.9" H x 26" W x 30" D; Weight: 117 lbs. 2 year warranty; energy saver mode; EER 10.7; 4 operation modes; Window Width: 31" to 42"; Window Minimum Height: 19.5"
Please note: This model requires a 30 Amp 220 Volt breaker to function properly. 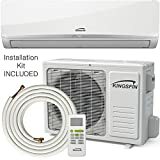 The KINGSFIN Ductless Mini Split Inverter Air Conditioning and Heating System provides the ultimate in comfort and innovation for your air conditioning and heating needs. It heats and cools quietly, efficiently, and is cost-effective. 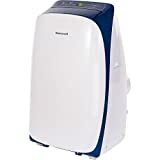 Features: Full 55D DC inverter technology features variable compressor speeds, ensuring efficiency.System features Cooling, Heating, Dehumidification and Ventilation operating modes. Wireless Digital Remote Controller and user-friendly LED display allow for ease of use. Sleep Mode, Timer, Auto Restart, Swing for sweeping air flow, Anti-Cold Air prevents cold blasting. Pre-charged with environmentally-friendly R410a refrigerant. Specifications: Mini Split AC and Heat Pump Capacity: 9000, 12000, 18000 and 24000 BTU/Hour.Voltage & Current: 115V/220V-50Hz/60Hz Energy Efficiency: 15 SEER and 9.0hspf Refrigerant: R410/R422 System Includes: Indoor Unit and Outdoor Unit ( Condenser) Remote Controller 16 Feet Line Set/Control Cable/Drain Hose (2) Line Set Wraps, Line Set Sleeve, Sleeve Cap, Neoprene Installation Manual User Manual Two (2) Year Part Warranty and Five (5) Year Compressor Warranty. Installation by licensed HVAC professional required for warranty. 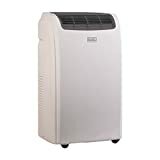 Cooling, Heating, Dehumidification and Ventilation system; Sleep Mode, Timer, Auto Restart, Swing, Anti-Cold Air functionality. Includes installation kit, line set (16 F), and all other necessary parts. Warranty Included.